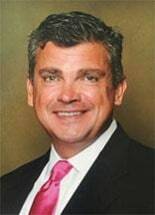 Victor Rauser is the founder of Rauser & Associates. Since opening the practice in 1997, Mr. Rauser has grown the firm from a small office into Ohio’s largest consumer bankruptcy firm, with seven offices located throughout Ohio in Akron, Canton, Cleveland, Elyria, Columbus, Toledo and Youngstown. Rauser & Associates has helped more than 40,000 clients restore their finances, stop foreclosures, repossession, garnishment and utility shut offs through Chapter 7 and Chapter 13 bankruptcy. The firm was founded on the idea of providing good service, backed by solid experience for a reasonable fee. We understand that good people may be struggling financially and need to consider bankruptcy due to financial setbacks out of their control, including job or income loss, illness, and unexpected emergencies. When you visit Rauser & Associates we will strive to relieve your anxiety and put you back on the path to financial stability. The attorneys and staff with Rauser & Associates are professional, kind and understand that being in debt does not make you a bad person. It doesn’t cost you anything to call our office – we are here to help.